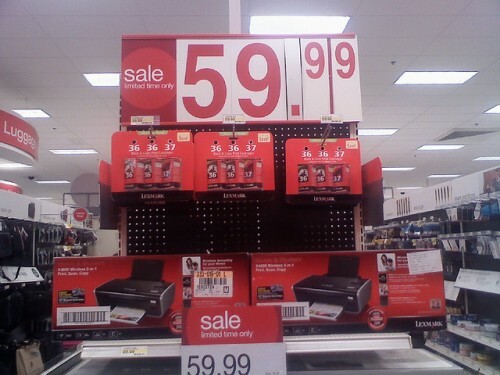 If you own a printer, you know how expensive ink cartridges are. They’re one of the most expensive computer accessories. One great way to get cheaper ink cartridges is to buy a bottle of ink and refill the cartridges. You can find the ink at office supply stores or online. One bottle of ink will last for years and it costs about the same as one cartridge. Refilling your ink cartridges is much cheaper than buying a new one each time your printer runs out of ink. A warranty on many of the things you buy is something that may seem important and something that the retail outlet might pressure you into buying. If you take good care of your electronics, is an extended warranty really worth it? Most warranties are offered for five to ten years, but your electronics will probably be replaced within those five years. When you’re buying an extended warranty, go for the cheaper option. Naturally, when a new product comes on the market, you want to be the first one to get it. It doesn’t matter whether it’s a tablet, computer, mp3 player, video game or a DVD. Most new electronics are expensive right when they come out. Instead of paying $29.99 for that new movie, wait until it’s no longer considered a new release. A couple of months later, the price will probably drop by at least $10. Almost everyone buys greeting cards at some point during the year. It’s easy to go into the store and pick out a card with a pre-written message. But those cards usually cost anywhere between $2.99 and $5.50. Why would you pay that much for a card? Especially when there are non-brand name greeting cards that are as low as $0.50. Choosing a cheaper greeting card saves you money, and they’re just as good as the more expensive cards. Even better, for holiday cards use ecards like Hallmark ecards, or purchase your greeting cards you plan send out the next year right after the holiday ends when they are 50% – 90% off retail price. Flowers from a florist are usually beautiful and convenient, but they’re also expensive. Florists usually charge more money for their bouquets, mostly because they need to make a profit. However, you can buy the same bouquets of flowers for half the price at a grocery store’s flower department or at discount stores. Why pay more for something you can get cheaper elsewhere? ATM fees are an awful expense that you don’t need to pay for. When you use another bank’s ATM, they’ll charge you around $2 just for withdrawing money. Sometimes your bank also charges you, and $5 in ATM fees adds up quickly. Make a practice of only using your bank so you can avoid ATM fees. If you’re not near your bank’s ATM, you can usually get cash back at a convenience store. Many services are happy to send you their products, but offer hefty installation fees. For instance, cable companies often charge anywhere from $15 to $100 for “installing” a wireless router or hooking up a cable box. These are things you can do yourself. Or you can go down to the company’s office location and ask for a demonstration on how to set something up. You can even find guides online if you don’t want to make a personal trip. This is a cheaper alternative than paying for an installation fee. Delivery fees are another thing you’re probably paying too much for. It takes some intense research on your end, but there are ways to get free or discounted delivery fees for your items. Many companies offer free shipping or discount coupons, but they don’t tend to advertise them. After all, why would they want to give you something for free when they can charge you instead? Before you place an order, search online to see what deals might be available. Have you ever wanted to try a new recipe, but couldn’t until you bought a specific spice? Is your kitchen cupboard currently full of expensive, brand name spices? Spices are one of those grocery items that are often outrageously priced. There’s no need to pay $3.99 for oregano, especially when you can buy it for $1 or less at a convenience stores or dollar stores. Sometimes you have to look in less obvious places to find cheaper spices. In the end, they all taste the same, so start buying the cheaper version. When most people go to the store, they tend to buy single servings instead of a package. If you’re buying something you constantly use, it’s in your best interest to buy packages instead of single servings. For example, individual yoghurt can cost $1 to $2.99, but a pack of six might cost $5. Why would you spend $6 to $18 instead of $5? This same rule goes for non-food items. Instead of buying a bunch of individual products, buy a pack instead. It’ll be cheaper and it is one of many easy ways to save money on food. What other things have you come across that you see people paying far too much for?